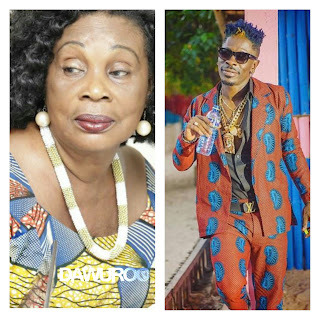 Maame Dokono revealed this in an interview with Micky Osei-Berko, known in Showbiz as Master Richard or Dada Boat that Shatta Wale is among the numerous people who have passed through her hands before becoming a star. “Shatta Wale was a gong gong beater on the By the Fireside…he’s one of the numerous persons I have helped…,” she revealed. Maame also revealed that she made sure the Black Stars Captain, Asamoah Gyan, and his brother, Baffour Gyan appear on the programme which was sponsored the 31st December Women’s Movement in the 90’s. Shatta Wale has since his resurgence into the music industry from Bandana has become one of the greatest artistes Ghana has ever seen.